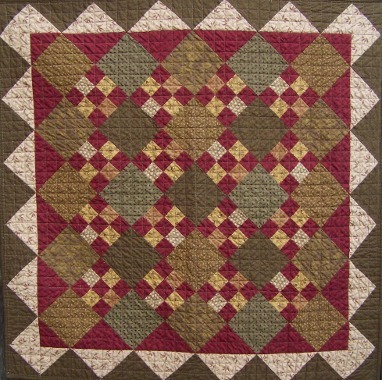 Description: This warm table topper or wall quilt could also be fun to use as a baby quilt! Easy and fun, you can finish it over a weekend. And, you can quilt it yourself on your own sewing machine if you wish. What could be easier!